Ensure you know your referring friend’s SSN (Sandals Select Number). Attach it to your booking form when booking your holiday. You’ll automatically be enrolled in Sandals Select. Enjoy your rewards, points and exclusive invites! 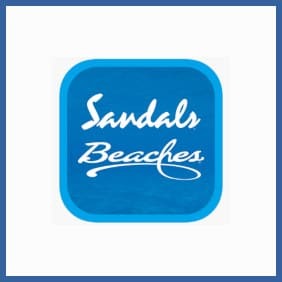 The Sandals Select Programme is a free loyalty programme for Sandals and Beaches resort guests. There’s no membership fee and you can earn rewards and member-only invites from your very first stay onward. The more you stay the more points you’ll earn for every GBP or USD you spend on your Sandals or Beaches Resort holiday. Stay for 70 nights and you’ll even receive a free week at a resort! Refer your friends to the programme and receive 2,500 bonus points.